Frustration signals that something one values or needs is being or has been denied or unsatisfied. When one is not able to get what one wants, needs and desires in the form and/or quantity that one wants, one feels frustrated. Psychologist, Dr. Steven Reiss, Ph.D., a recognized expert on human wants and needs, studies and writes extensively about how human beings are motivated to try to satisfy our strongest needs/desires. The stronger the need–the stronger the sense of frustration one feels if the need is not fully satisfied. 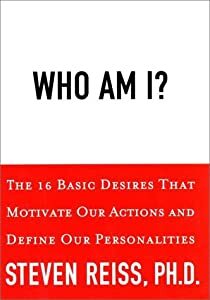 Reiss has written two wonderful books on motivation, “Who Am I?” and “The Normal Personality.” He also developed the Reiss Motivation Profile®, a tool to help discover and understand one’s primary wants, needs, desires and motivations in life. Once one fully understands ones’ strongest needs, then one can discover what combination of these unsatisfied needs is causing the frustration. One can then develop alternative strategies to satisfy one’s need or accept that one’s need must go unsatisfied for a time and reduce one’s frustration. 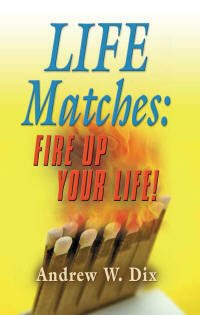 Think of frustration as your mental check engine light on your life well-being dashboard. When the frustration light is on, you are not satisfied with something you genuinely need as a part of your nature. As Reiss Motivation Profile® Master, I can give you a profile and guide you in interpreting your results. Then you can listen to what your frustration is trying to tell you and make positive changes in how you are seeking to satisfy your needs and live your unique good life. You can contact me at andy@lifematchesbook.com to get your Reiss Motivation Profile® and personal telephone consultation to discuss your results. Listening to your frustrations can help you get what you want, in the amount that you want and when you do, you will be living Fired Up!